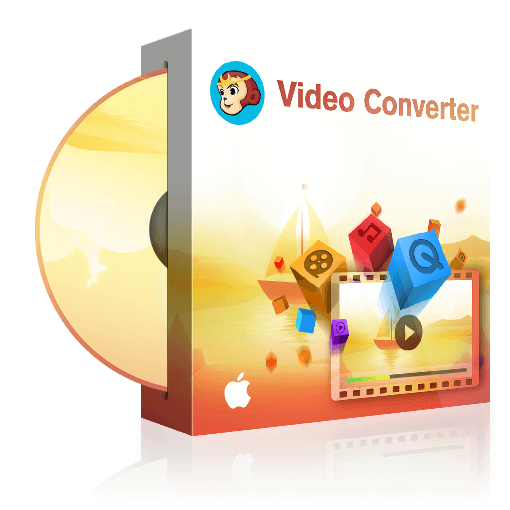 DVDFab Video Converter for Mac -- the versatile video converter software that can convert between two different video formats with ease. DVDFab Video Converter for Mac can read all the popular video formats from the Internet, digital camcorders, capture cards, etc., and convert them to any mainstream video/audio formats to fit all players or devices in support of video playback with its rich profile library. DVDFab Video Converter for Mac gives you the right to fully control the output video. You can copy the entire video or any parts you need, and the output audio and subtitle stream can be totally under your determination. It offers advanced users or video lovers with higher and more specific needs the right to adjust the video and audio parameters with various options provided. And with its built-in video editor, you can be a video editor and artist to deeply personalize the output video effect more suitable for your needs. DVDFab Video Converter for Mac, with batch conversion, multi-core, multi-threading and VideoToolbox hardware acceleration supports, presents you with a blazing processing speed that is averagely 2x faster than software encoding, letting you be free from worrying about ripping titles one by one and waiting for a long time. DVDFab Video Converter for Mac has been in development for years to catch up with the latest technology trends. Despite the blazing speed, you will be promised with a smooth process and a perfect output video with astonishing quality. DVDFab Video Converter for Mac can read almost all kinds of video formats and convert them to all the mainstream video & audio formats playable on various players and fit for devices that are in support of video playback. Double click DVDFab 10, and opt for Converter from the option bar when it runs. Drag and drop the source video into the main UI for loading, or navigate it through the Add buttons on the main UI. Move to the left pane and click the profile switcher to choose one format or device profile you need after source loading and define the output content including the titles, audio tracks and subtitles. If you have higher requests regarding the output video, you can set all the video and audio parameters with the Advanced Settings and deeply customize the output video effect with the built-in video editor. After that, move to the Save to part and click the folder icon to select the output directory. Click the Start button, DVDFab will immediately begin converting video to the target profile you chose, and provide you with the detailed progress details during the process. You can cancel the task anytime you don't want to continue during the process, and you can also set your PC to automatically shut down, exit program, hibernate or do nothing when the task is done. Input: 3GP, ASF, AVI, FLV, M2TS, MOV, MP4, M4V, MPEG, DAT, MKV, RMVB, RM, TS, VOB, etc. How to Trim Videos on Mac by Using DVDFab Video Converter's Trim Feature? How to Convert Video to iPhone 6 with DVDFab Video Converter on Mac? How to Convert Video to Samsung Galaxy S6 with DVDFab Video Converter on Mac? How to Convert Video to Lumia 930 with DVDFab Video Converter on Mac? How to Convert Video to Samsung Galaxy Note 4 with DVDFab Video Converter on Mac? How to Convert Video to MP4 on Mac with DVDFab Video Converter for Mac? How to Convert Video to H.265 on Mac? How to convert videos for Samsung Galaxy Tab 10.1 on Mac? How to convert PS Vita compatible videos on Mac? How to convert videos for Google Nexus 7 on Mac? A versatile movie maker which can read and convert all videos to standard DVD discs/ISOs/folders.